Marketing folks tend to be control freaks. We take pride in controlling how brands are presented. We fine-tune and tweak all messaging (primary, secondary, tertiary) at nauseam. We create personas of our customers that leave no demographic/behavioral/motivational stone unturned. We UX every customer touch point and journey to death. But there’s one very important piece of marketing we have little control over: our online reputation. Simply because it’s your customers’ voices, more so than yours, that are shaping your reputation. We live in a world where your online reputation (that of your business and yourself) can be your strongest asset or your biggest liability. Today, it’s not enough to set up a few Google Alerts and “keep tabs” on your online reputation to avoid a crisis. Reputations take years to build, but can crash in a second. We need to recognize our reputations as our unique differentiator and competitive advantage and fiercely protect them. They need to have an active role in our marketing plans. It’s time to change online reputation management to online reputation marketing. Online reviews have been shown to impact 7% of purchasing decisions. Businesses risk losing 22% of business when potential customers find one negative article on the first page of their search results. Nearly half of U.S. adults said they have Googled someone before doing business with them. A bad reputation costs a company at least 10% more per hire. And the list goes on and on. The good news is embarking on a successful reputation marketing program is achievable even for small businesses. Know what they’re saying about you—when they say it. Of course, it starts with rigorous monitoring. And this doesn’t have to be a manual process. There are many automated tools that can do the heavy lifting for you. If they have something nice to say . . .
Next, you need to proactively solicit reviews. Easier said than done. 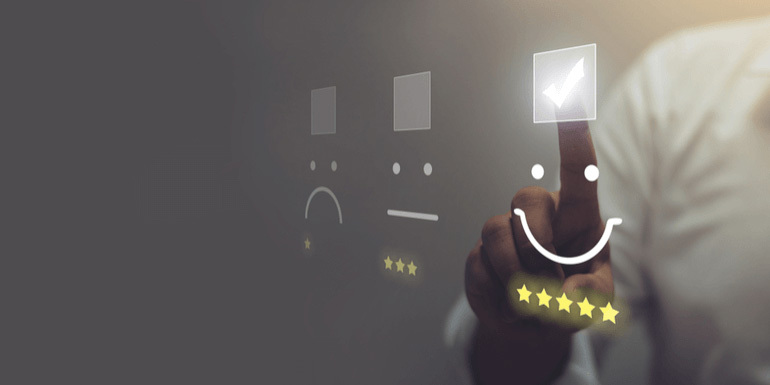 Getting positive online reviews is a challenge for every business. And not because we don’t have satisfied, engaged customers, but because posting positive reviews is not a priority for our customers. Here, too, there are more automated ways to do that, but do not rule out good old-fashioned (and frequent) customer outreach, requesting their positive endorsement. And make it easy for them to do so. Make the most of every one. Lastly, wear those reviews like the strong marketing capital they are. They are greater endorsements than any testimonial campaign you control. And they should be amplified in your owned online properties (particularly to stimulate conversions on your website), marketing collateral, sales presentations, etc.